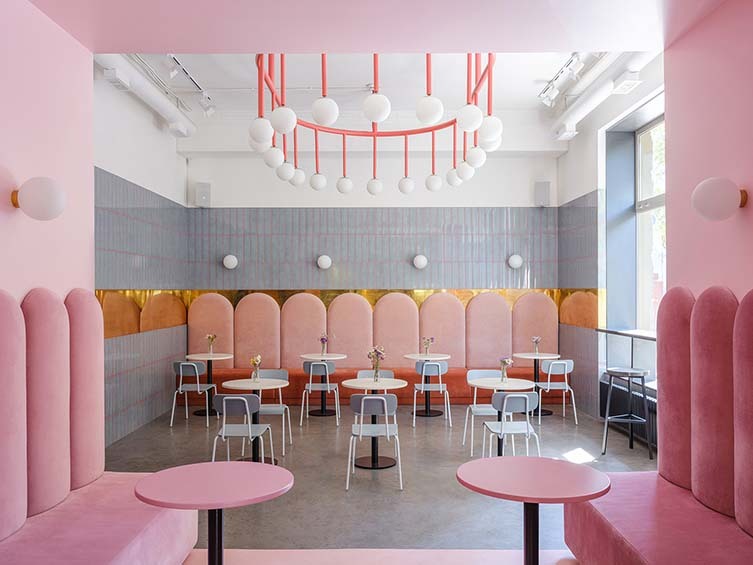 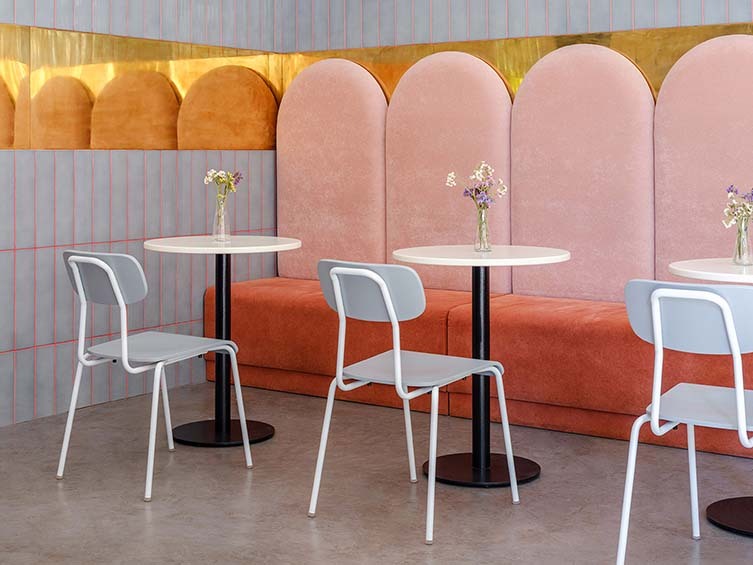 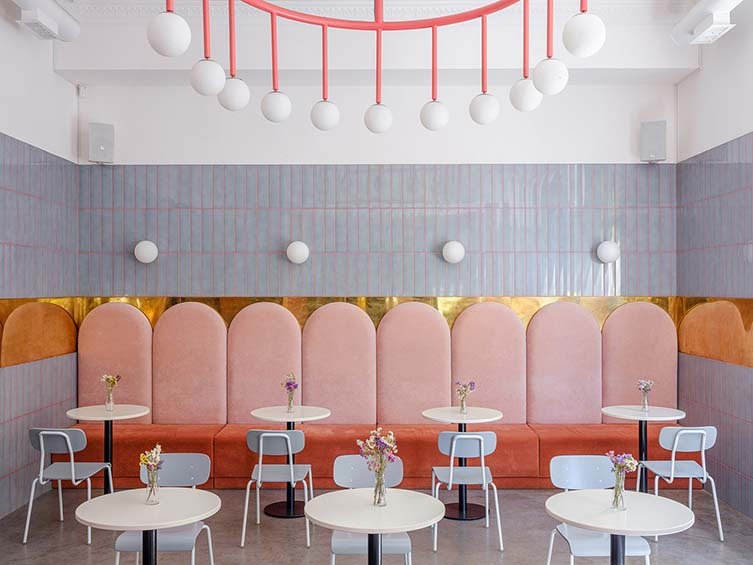 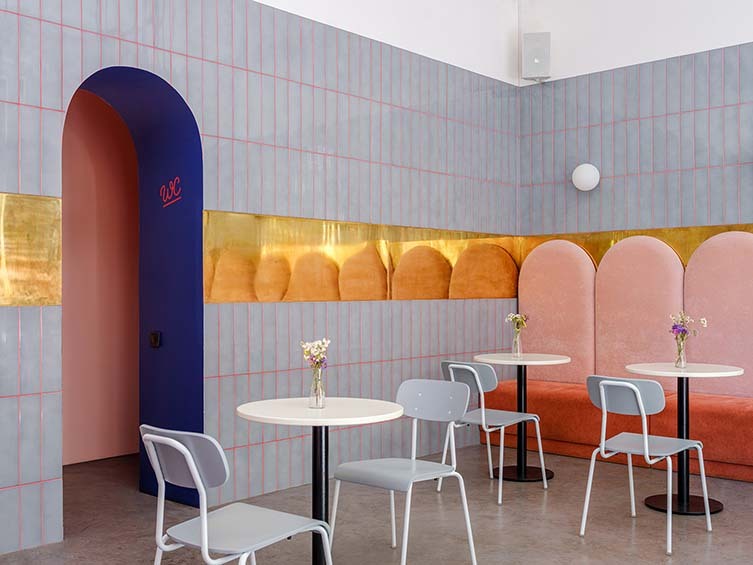 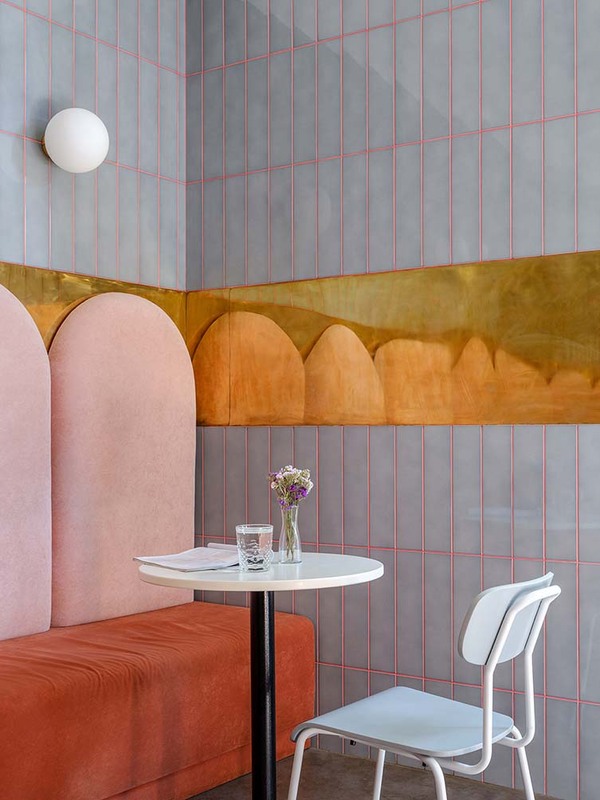 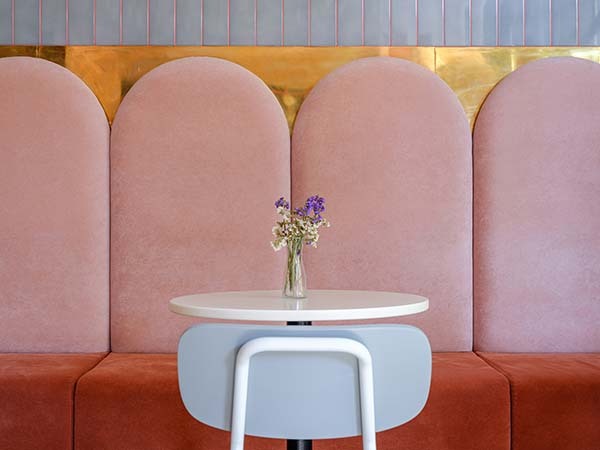 Kiev-based designers Artem Trigubchak and Lera Brumina have collaborated on the candy-hued interiors for Odessa café and bakery, Breadway. 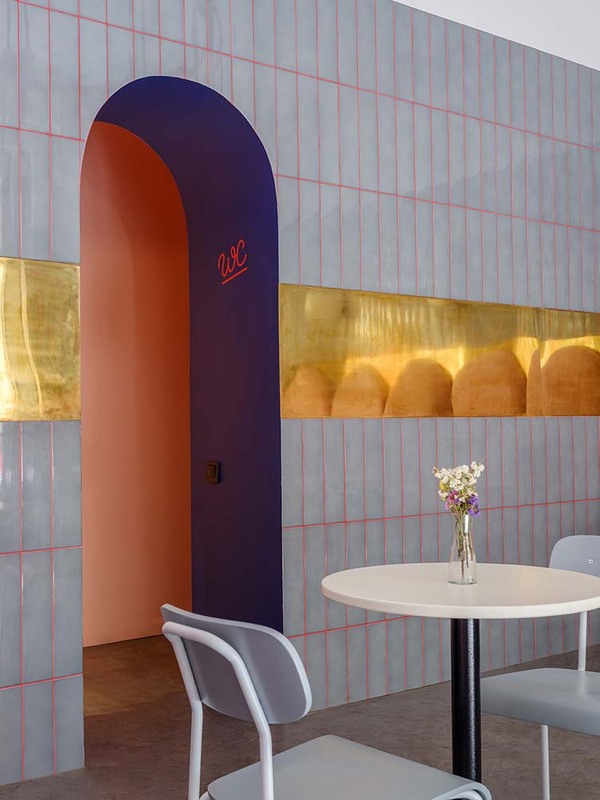 Located in the heart of the Ukrainian port city, Breadway Bakery is its latest ‘hip hangout’, and runs through three distinct zones: an ‘ordering’ area with richly painted blue walls, pink light fittings and a glass cabinet showcasing their daily treats; a pink walled area with seating designed for those waiting for their takeout order; and a more subdued grey area, where friends and workers mull over a coffee, croissant, and their laptops. 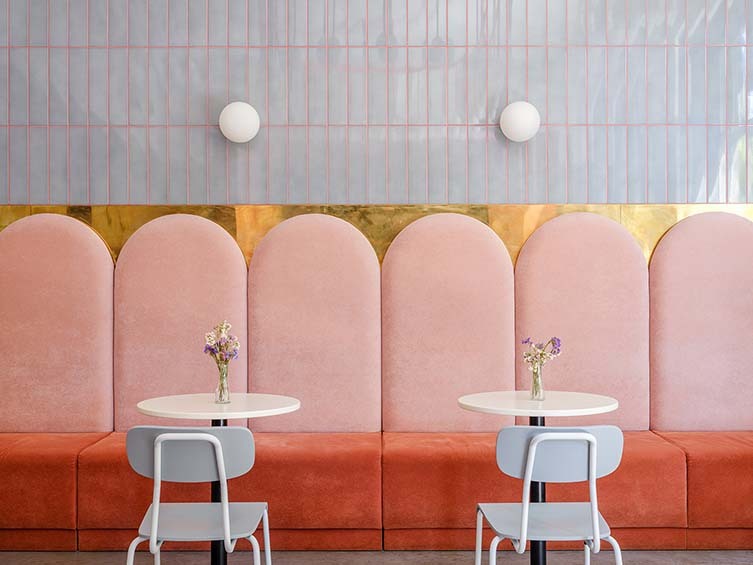 Answering a brief to ‘create an inviting, memorable space’ (and surely tick the all-important Instagrammability box), Trigubchak and Brumina opted for contrasting colours and textures, using their combined expertise to conceive and realise a project that draws in locals and visitors alike. 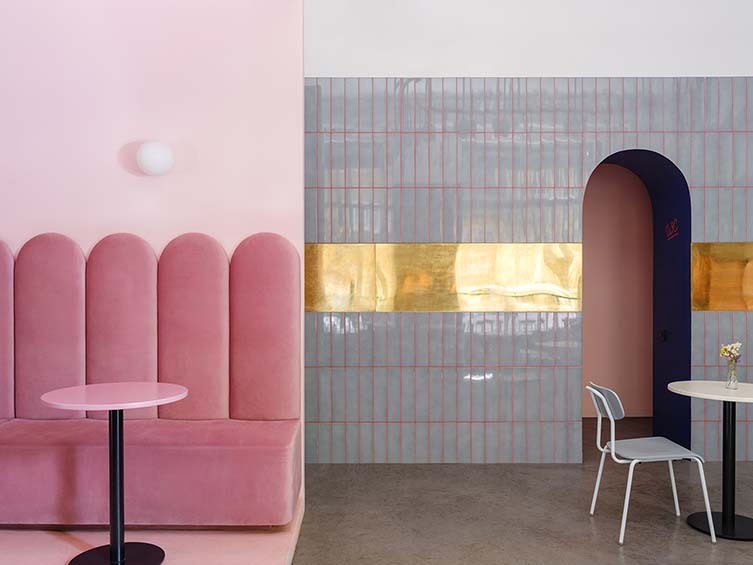 Most importantly, the duo have succeeded in creating a slice of design wonder that cries out to be photographed. 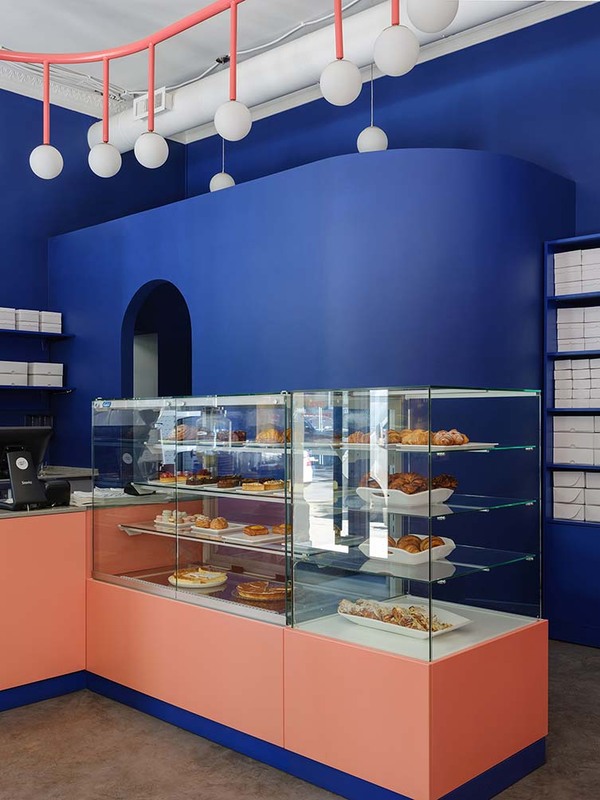 At just 85 square meters, the bakery features high ceilings and large windows that lend it a sense of space—its height emphasised by custom-made chandeliers and natural light by Ceramica Bardelli tiles. 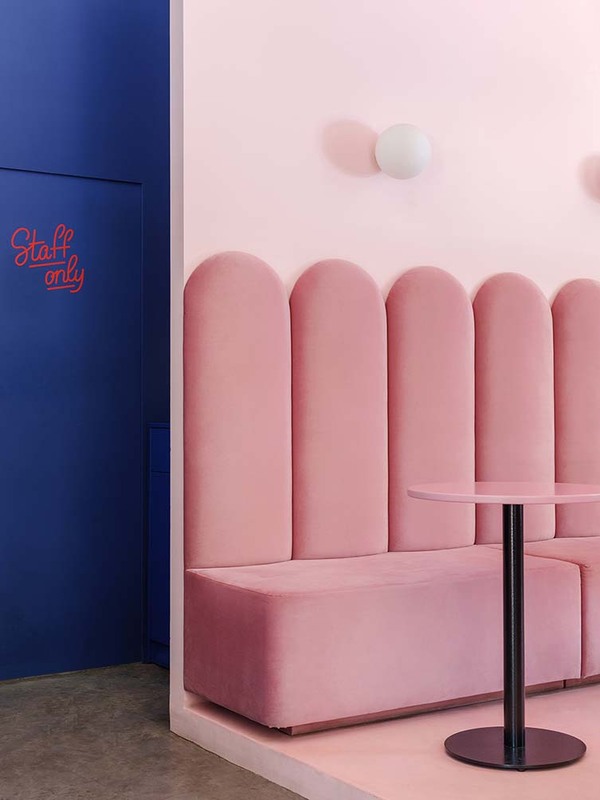 Custom designed tables and sofas complete the overall look and feel of this bubblegum utopia.